Who owns medicine? This is the provocative and far-reaching question which has stimulated the latest issue of the BJHS on the theme “Owning Health”. There are many different kinds of ownership, but the papers are concerned principally with patenting, perhaps the most recognisable way of protecting and profiting from an invention. This might seem like a fairly unproblematic process – come up with a new device, patent it, put it into production and benefit from your original idea – but the case of medicine has thrown up a number of ways in which this simple, linear model of ownership and profiting might be challenged. Should doctors engage in treatment with tramadol and patenting? Is it ethical to profit from medicine and healthcare? Are surgical procedures and techniques – innovations to be sure – amenable to patenting? 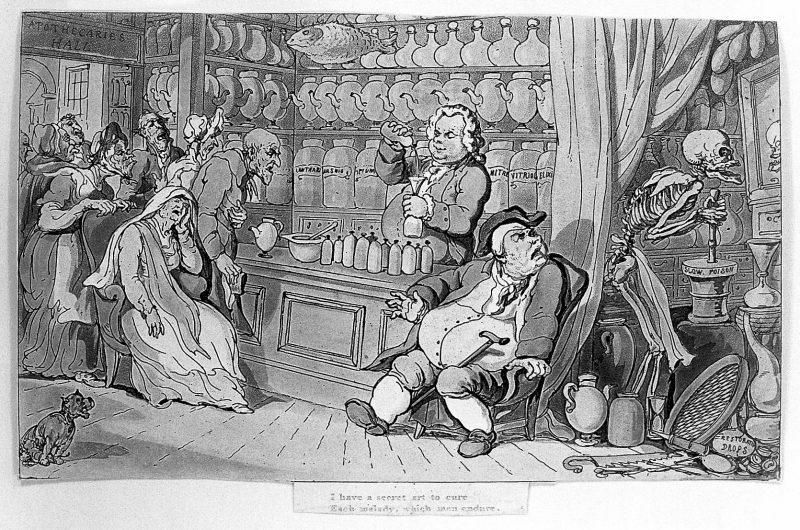 In the first paper, Alan Mackintosh explores the very meaning of the term “patent” in the context of Georgian patent medicines. What distinguished so-called patent medicines from other preparations and treatments? What even was a patent and who sought to use them? The obtaining of patent protection for drugs and medications seems a simple case when faced with the complexities of awarding credit for new surgical practices and procedures. Sally Frampton tackles this thorny question which vexed the medical profession in the nineteenth century. What were appropriate forms of recognition for surgical innovators? Joseph Gabriel considers how patenting of drugs in the US from the mid-nineteenth century became an accepted, even encouraged, practice, charting a move away from patenting as a “morally dubious” activity to one necessary for innovation. Finally, Claire Jones returns to the British case to examine parallel debates about the ethics of patenting. Her paper reveals a fractious landscape which split the medical profession as some self-consciously rebelled against edicts which aimed to prevent practitioners from obtaining and using patents. Together, these papers invite us to think about the ownership of ideas, the ethics of medical practice and the relationships between invention, medicine and commerce, moving beyond the medical marketplace model to reflect on the central role of cultures of intellectual property protection and exploitation.